Engaging customers and opening communication doors on real estate is an ongoing challenge. MOUSE identified new ways to reach a highly targeted audience that has built customer loyalty, retention and customer conversion for almost 10-Years. 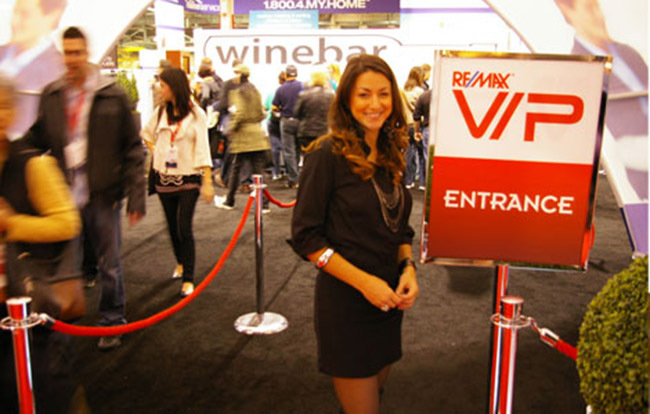 Through a dynamic VIP Home Show ticketing program, MOUSE The event tour across Eastern Canada includes complimentary VIP home show tickets distributed personally by agents within each community, VIP front-of the-line entrance, VIP coat check, VIP main stage seating, VIP dream home access, massive 60ft x 40ft VIP lounge and 20ft complimentary winebar. The winebar was designed by HGTV celebrity designer Glen Peloso. Our guests enjoyed the VIP treatment and will remember RE/MAX. MOUSE leveraged strategic partnerships to reduce costs, add value and expand brand presence.